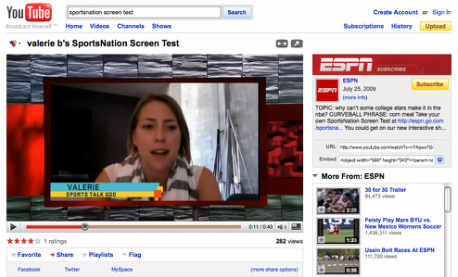 The campaign's interactive game, put users in the spot of sportscasters to see if they were really ready to talk sports with the pros. A teleprompter-like experience recorded your reaction to several random sports questions. Then it was posted on YouTube as if it was appearing on the show with the anchors speaking to you. 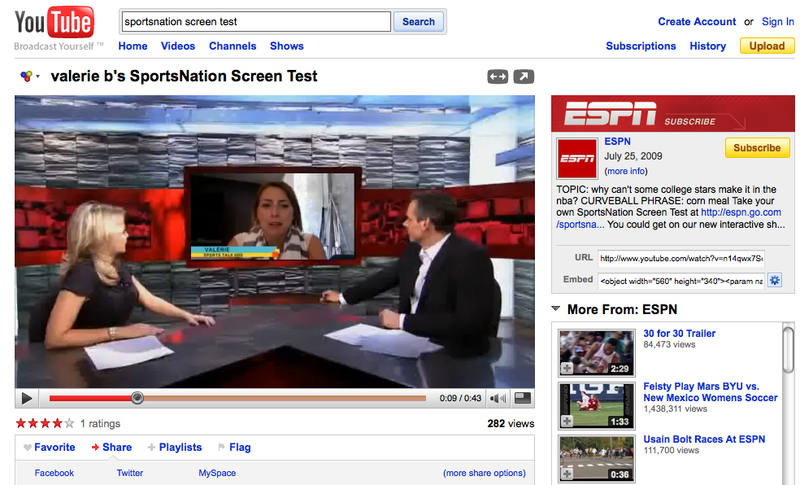 Voters could choose the most camera-ready to get airtime on the new Sportsnation, the show for the fan.